Mr Thirumavalavan was elected to parliament for the first time in 2009 from the Chidambaram constituency itself but he lost to an AIADMK candidate from the same seat in 2014. 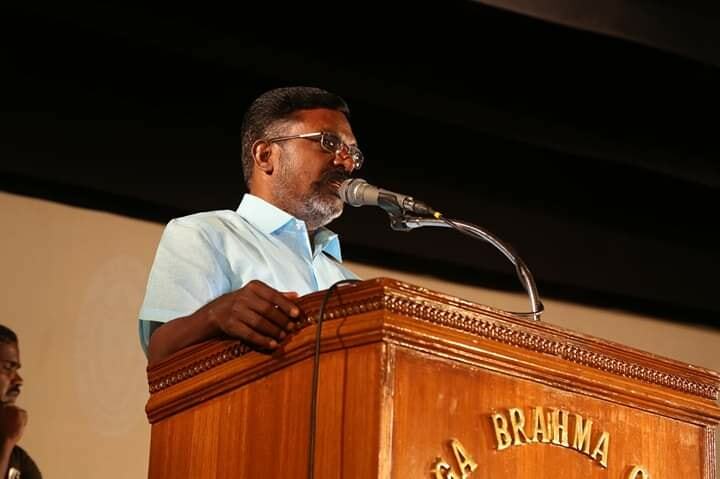 Dalit leader and founder of Viduthali Chiruthai Katchi (VCK) Dr.Thol.Thirumavalavan will contest from Chidambaram constituency. The former member of Parliament has formed an alliance with DMK in Tamil Nadu. The DMK led Madhacharbatra Murpokku Kootani (secular progressive alliance) have allotted two seats to VCK. Mr Thirumavalavan was elected to parliament for the first time in 2009 from the Chidambaram constituency itself but he lost to an AIADMK candidate from the same seat in 2014. Party general secretary and former MLA, D.Ravikumar would fight from Villupuram, as the second candidate of VCK. Interestingly, VCK has adopted a unique formula for contesting the upcoming Lok Sabha polls. While its leader Thol. Thirumavalavan is contesting from the Chidambaram (SC) seat on an independent poll symbol, the party’s general secretary, Ravikumar, will contest from Villupuram (SC) on the DMK’s ‘Rising Sun’ symbol. The DMK had requested the VCK to contest on its poll symbol, and Mr Thirumavalavan came up with the hitherto unheard of formula. Candidates of the same party contesting the election on different symbols will be a rare case. As a new candidate, contesting on the ‘Rising Sun’ symbol, enhances the prospects of victory in the constituency for Ravikumar, where he is pitted against the PMK. But in Chidambaram, Thiruma is a familiar face for the voters after contesting five times from the same constituency. VCK would be contesting six Lok Sabha constituencies in Andhra Pradesh and three in Kerala independently. In Andhra Pradesh, N.K. Jacob Vidyasagar (Guntur), P.T.M. Sivaprasad (Chittoor), George Bankari (Visakhapatnam), Murugesan Prabhu (Tirupati), Bondalapalli Chandrasekar (Rajampet), and Ramaji Immanuel (Kadapa) are the candidates. In Kerala, M. Selvaraj will seek election from Idukki, Jeevan K. Vijayan from Kottayam and lawyer K.R. Meena would be contesting from Kollam.